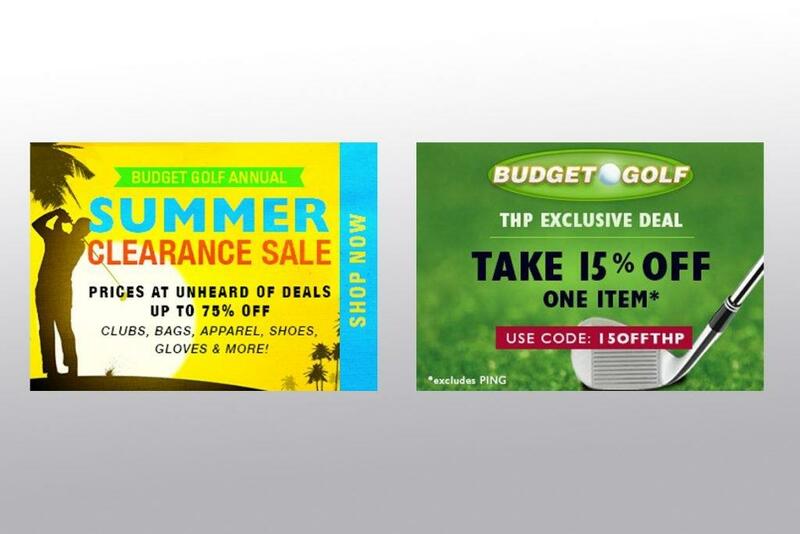 Once a year our friends at Budget Golf host a sale that features prices that are unheard of. They call it their Annual Summer Clearance Sale and it kicks off today on everything including clubs, bags, apparel, shoes and accessories. As you can see above (and click the image to go right to their site), they have up to 75% off every type of item in the store and you can double down on many things with the 15% THP Coupon to really grab a savings. Their Summer Clearance is done first come first served, and has two waves, one starting today and the next 7 days from now so make sure you mark your calendars and check each time as the big event runs for 2 full weeks. Most items are right at or below wholesale costs and just browsing around there are some killer deals to be found, especially in footwear and apparel. Walking the halls of their warehouse uncovers some hidden gems that will all be featured in this slash pricing event and their enormous warehouse. Could you imagine what it would be like to get 60 seconds to run around that warehouse and keep anything you grabbed? We do that each year in a contest called The Sweep and this is what happened. Don’t forget that the sale just started and with the prices they have, many items won’t last long. Good luck and Happy Shopping THPers. This is an incredible sale! I haven’t pulled the trigger yet, but I will probably, plenty of time.